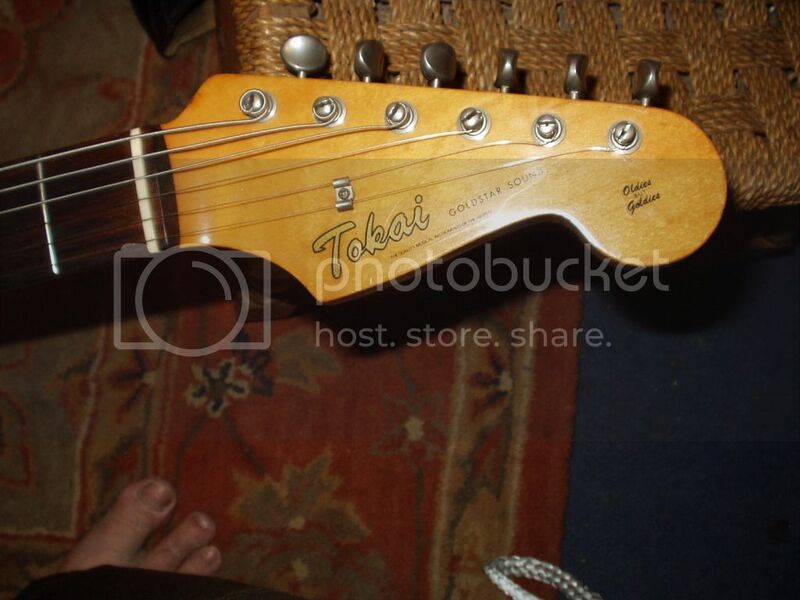 Tokai Forum - a subsidiary of TokaiRegistry.com :: View topic - Rare MB Headstock Strat-Can I learn more about this please? 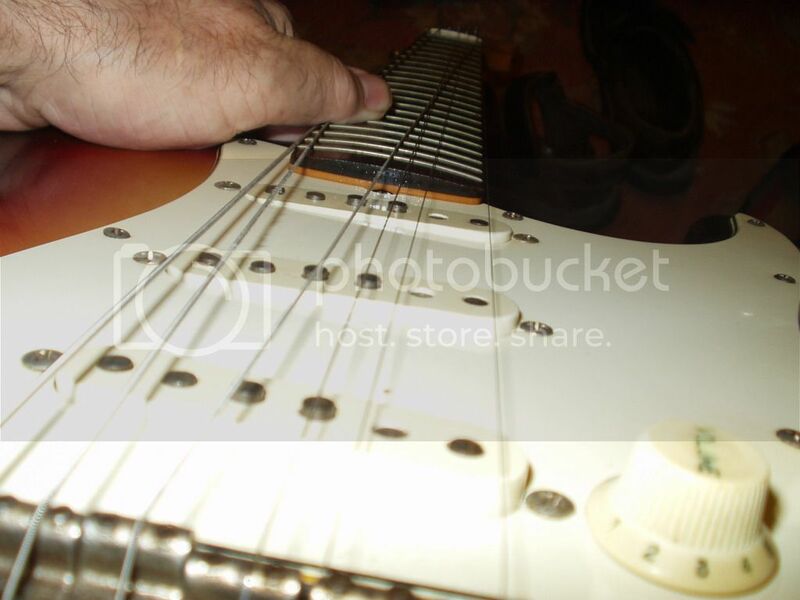 Rare MB Headstock Strat-Can I learn more about this please? 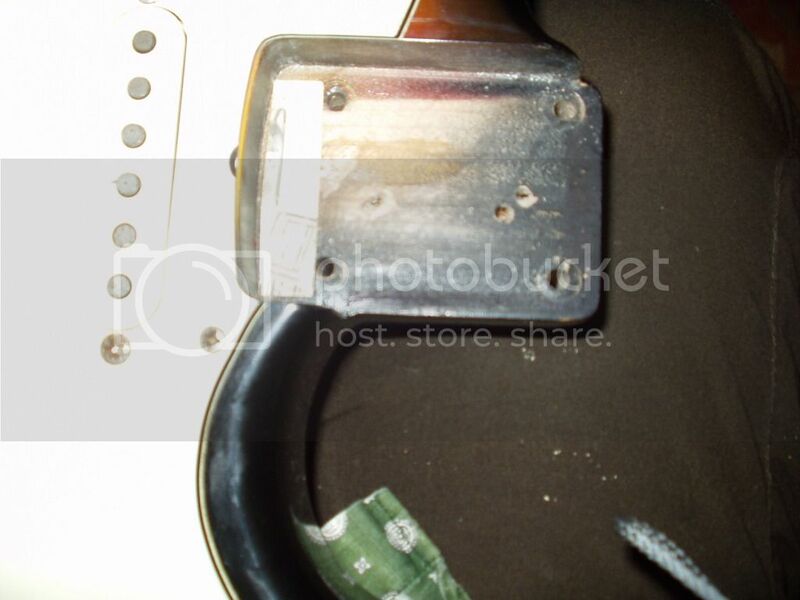 I have a feeling that the PAF stickers on those pickups are not for DiMarzio. 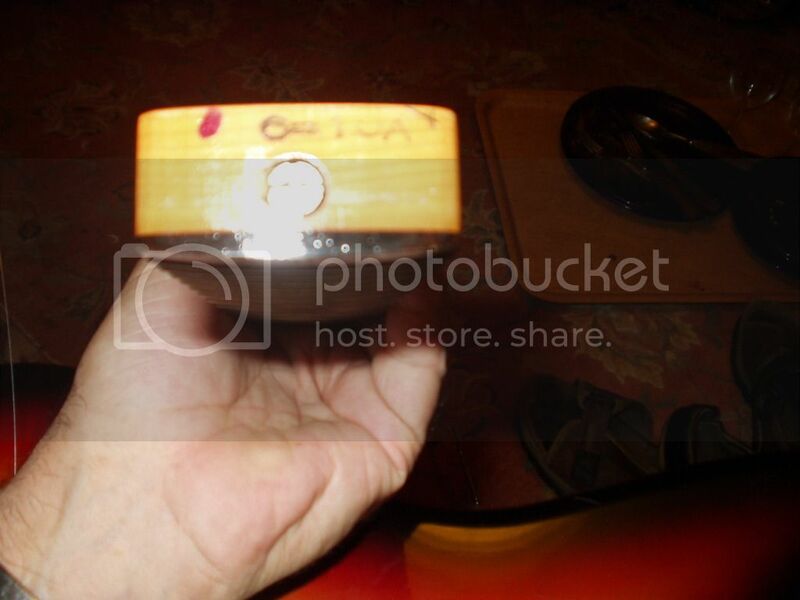 They are for the next generation of Tokai 'A' pickups or the C.A.R. 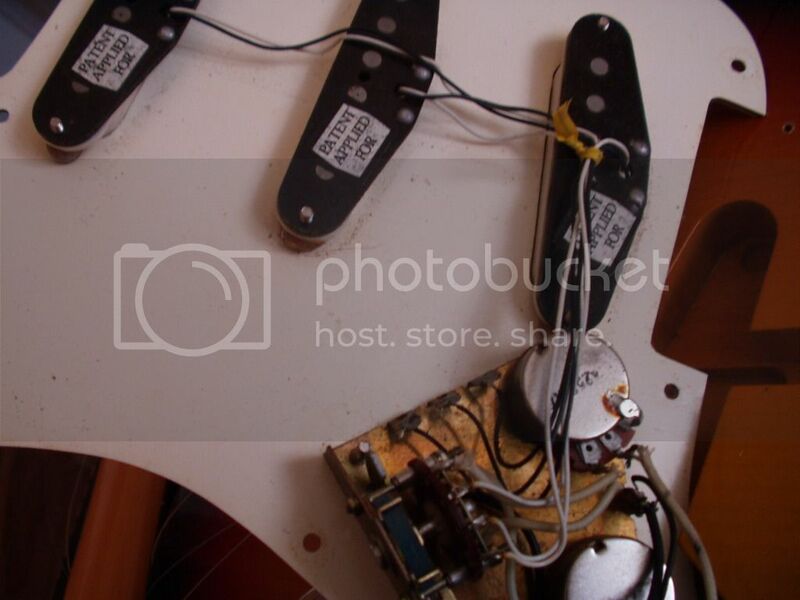 pickups used on the U.S. models being exported. 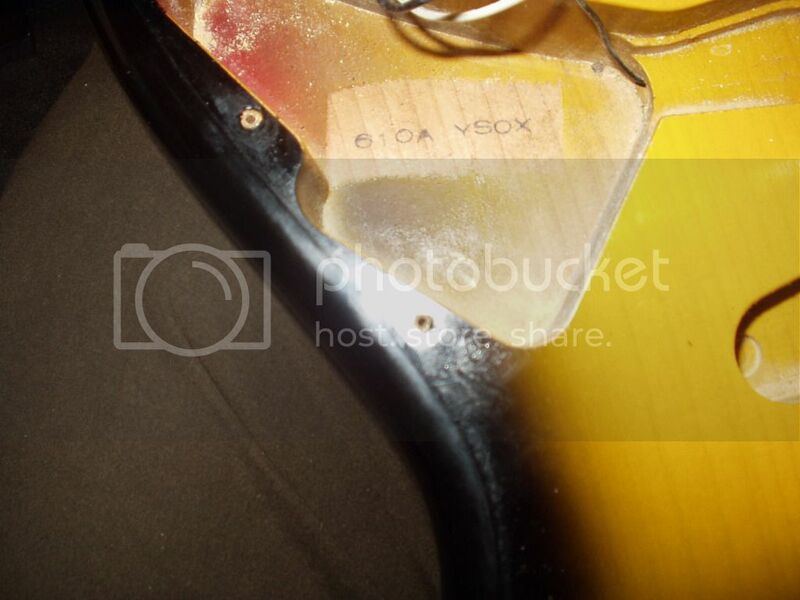 It's hard to tell without seeing all the guitar, body and neck codes, etc to determine what is is and its age. Some recent information outlined that ONLY the ST-100 had DiMarzio VS-1 and all the other models had Tokai-made 'E' or 'U' pickups. Two 84 Goldstar St 80s. 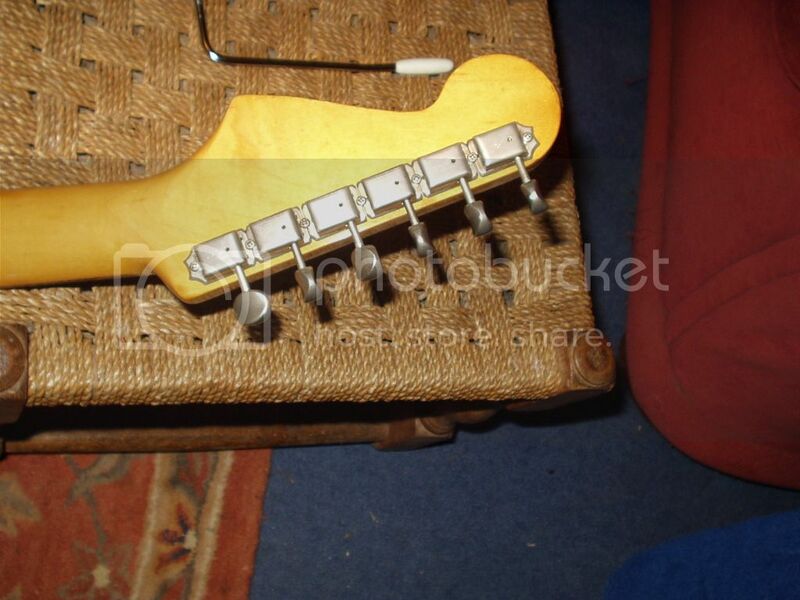 Hi Pete, here`s the 84 catalogue .Notice that the Goldstar st 80`s were fitted with black backed Di Marzio VS 1s with plastic covered as opposed to cloth covered wires and little round rubber grommets as opposed to mounting springs. As you can see ,DouDou`s are exactly the same as mine minus the PAF stickers.They may have had them originally but who knows! They also have slab boards as opposed to lam,referred to as flat rather than round in the brochure,laquer as opposed to poly finish, celluloid pickguards and D as opposed to C shaped necks,just like my 3 tone sunburst St 80 and DouDou Bass`s strat. now resprayed blue. The rosewood necked Goldstar St 80s were supposedly based on a 1960 strat as opposed to the usual rosewood necked 1964 St50s. St 100s seem to be fitted with some kind of locking nut and Floyd type whammy(E.T. tremelo) as well. Regards Gabe. Sorry for the confusion, let me clarify. Until the end of Springy, all ST-80 had 64U necks and Tokai 'E' pickups - only the ST-100 had VS-1 and ST-70 had a 'slab' neck. By 1984 Goldstar specs had changed to TST-80 with slab board and VS-1. 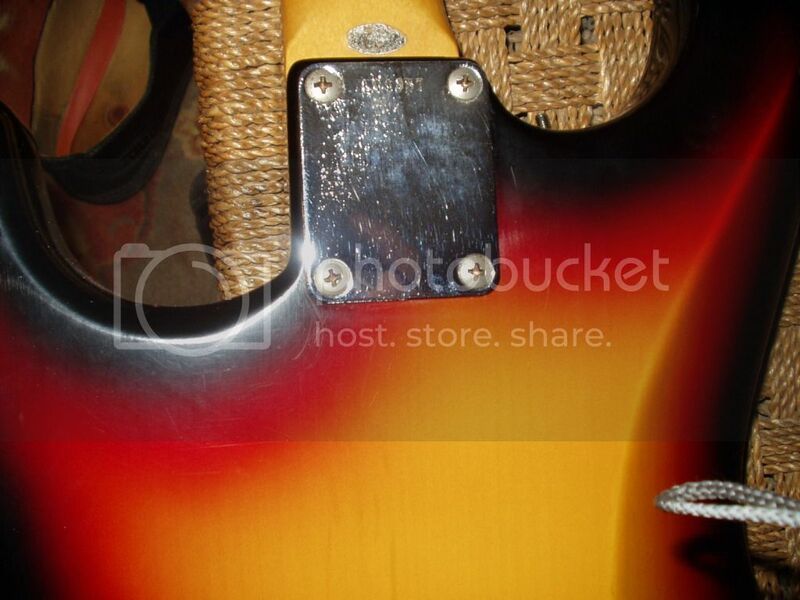 SRV was still an endorser and his No.1 guitar was a 1959 slab board Fendah. Interestingly the slab board only lasted a few years before going back to a 64 lam board. 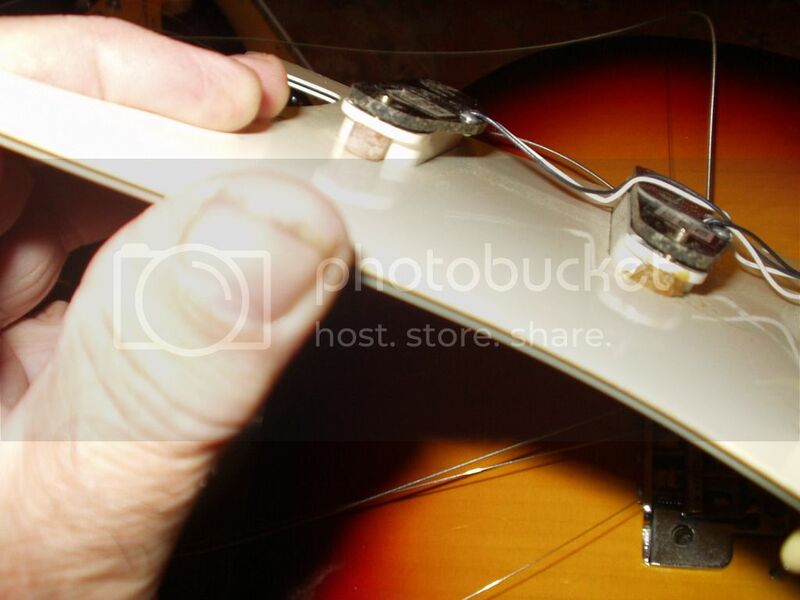 For the record, I have always liked the Slab board neck - it is a little chunkier with great tone and feel, i've just never been able to aquire one. I'd love to see some more pics of that sunborst TST-80 YSOR. 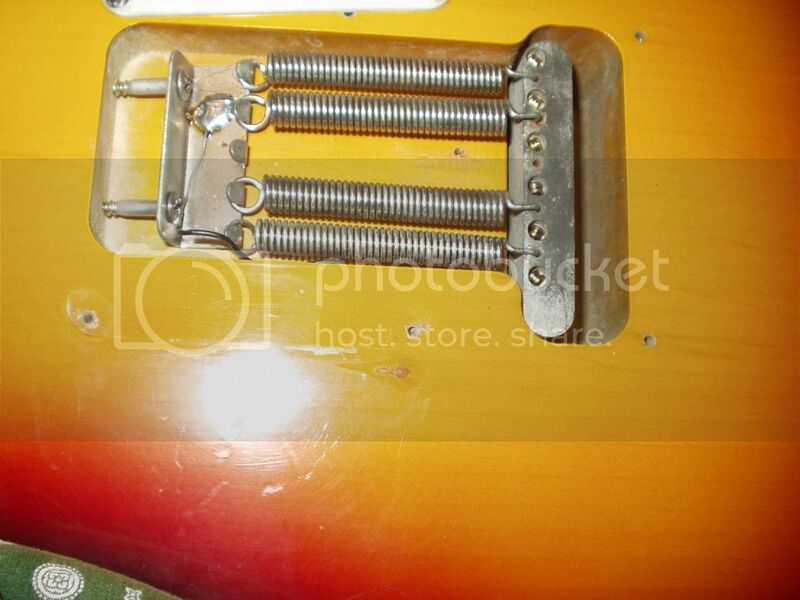 Things like headstock, serial#, stamp codes if possible, bridge and pickups. This will go a long way to finding the sequence patterns for Tokai. As soon as I get the time I`ll do that for you Peter. Gabe. 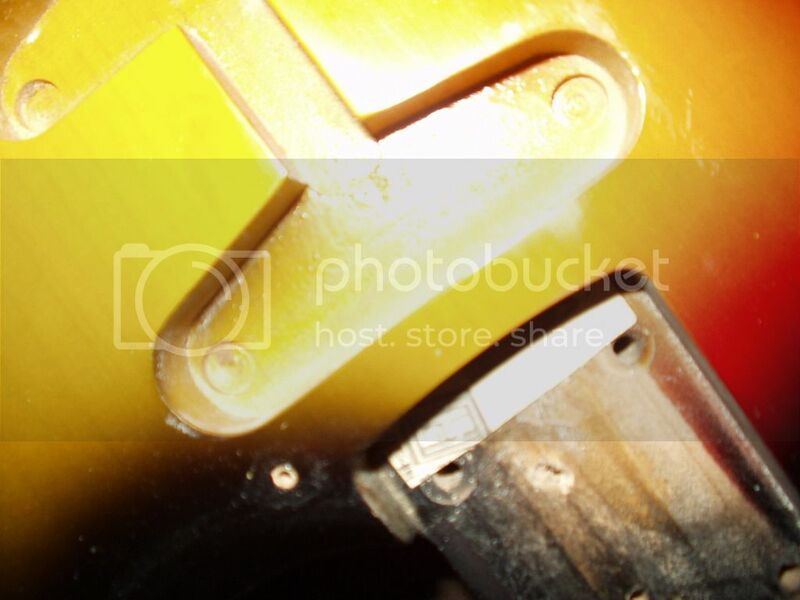 Hi Peter, here are the photos.The neck plate serial number is a little hard to see but it`s L11357,and the machine heads are stamped Tokai like a Springy not De Luxe as on other Goldies.Hope this helps.All the best, Gabe.